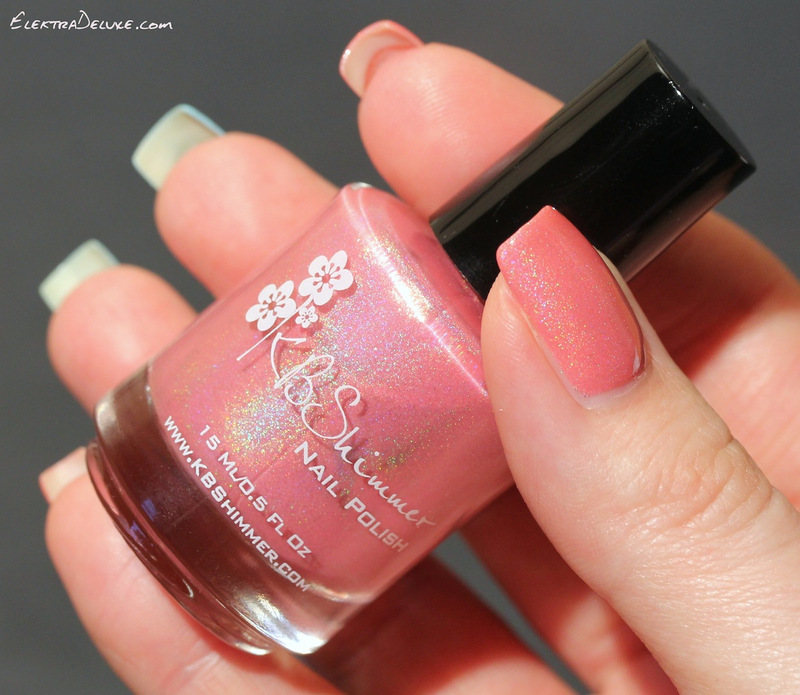 Let me show you two more KBShimmers today: Wind Swarm and Blush Money! Both of them are from this year’s spring collection. Wind Swarm features a light blue base with a mix of purple, gold, white and pink glitters. And Blush Money is a peachy rose with golden shimmer and a subtle holo. The two polishes go great together in one manicure! I applied 2 coats of KBShimmer Wind Swarm to middle and ring finger and 2 coats of KBShimmer Blush Money to index, pinkie and thumb.